A decade ago, China emerged as a role model for Indian politicians. All of them wanted to turn India into another China. Corporate honchos and political leaders even pledged to work together to turn Mumbai into another Shanghai. Fortunately, the project was abandoned quietly. Dibakar Banrejee’s Shanghai (2012) captures the sleaze and shady dealings of the Indian political class as it continues to pillage the country in the name of economic liberalization, and emulating the Chinese model of economic development. Middle class in India – as the middle class in the West – is enamoured by China’s rapid advances. And despite India’s stationary status on many fronts during the last decade under the UPA government, during which China has powered on, Indians are delighted to be put into the same bracket as China. Indians who’ve been to China realize that the comparison between the two countries is silly because China is well and truly miles ahead of India on almost all economic and social parameters of comparison. Some of these advances are truly amazing: China has succeeded in reducing absolute poverty substantially in the last decade. India’s performance on this front has been less than exemplary. 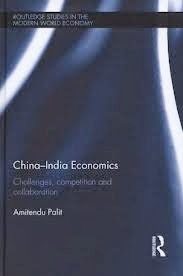 Economist Dr. Amitendu Palit is a former Indian bureaucrat and now researcher at Singapore’s National University. His book China-India economics: Challenges, Competition and Collaboration is an important contribution to the on-going debate on the growth trajectory of these two economies. 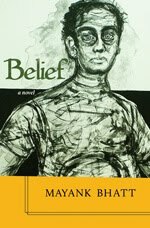 Recently, he spoke at in Toronto’s Munk School of Global Affairs on the theme of his book. The steady rise in the trade between China and India will have a deep impact globally. “Their economic relations will matter to everyone,” Palit said. He observed that both countries have had similar experiences despite different policies, and are facing an acute lack of solutions to the problems they face. He delineated these similarities: Both are non-OECD countries; both are non G8 countries; 2nd and 10th largest economies; 2nd and 4th largest by the purchasing power parity; neither high income countries; large population below poverty line 41% in India and 15.9% in China; both countries have internal imbalances and both have rising inequalities. Energy: As China and India have a phenomenal dependence on oil and coal, they are in a race for hydrocarbons in Africa, Central Asia, and Africa. Water: India is a lower riparian state and there is growing competition (and concern in India) over the sharing of river waters. Of the five rivers that start in Tibet, four flow into India. The rivers are Indus, Sutlej, Brahmaputra, Ghaghara and Torsa and except the Indus, the other four are important for India’s economy. Both have long-standing and irresolvable political differences. This includes claims over each other’s lands and constant skirmishes over the border. India accuses China of pursuing a String of Pearls approach by building antagonistic relations with India’s neighbours. China accuses India of Encircling Democracies policy where it is building alliances across the globe with democracies that inimical of Chinese dominance of the region. Both countries are increasingly aware of their significance to each other and are learning in the process, and both have started to collaborate in a small way to secure economic advantages by not competing for the same resources openly. Both have realized that when they move into the market, the spot prices escalate and the bid prices hit the roof. It makes better sense to collaborate for the same set of resources.